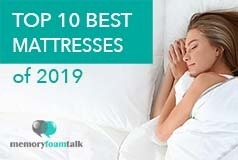 Over the last 9 months or so we have slept on and reviewed close to 20 mattresses since starting memoryfoamtalk.com. And we love our Loom and Leaf the best still. We have tried all foam mattresses, latex hybrid mattresses, hybrid pocketed coil and foam mattresses, mattresses infused with copper, gel foam layers, all sorts of innovations that have hit the market recently. We have a lot of favorites, including many others on our mattress review list. But our favorite has been the Loom and Leaf mattress this entire time. Why is it our favorite? The Loom and Leaf mattress differs from just about every other mattress we have received (except the WinkBed we just got in recently) in that it is the only memory foam mattress that doesn’t ship compressed in a box. It doesn’t have any off-gassing whatsoever from being compressed in a box during delivery. Every other mattress we have received generally had some degree of off-gassing to it from the process of compressing and sealing in plastic while being shipped. Not the Loom and Leaf. You don’t have to lug a box up stairs if you have them, or open and install the mattress yourself. The Loom and Leaf is delivered to your home and your old mattress removed by professional delivery personnel which is a big differentiator. We feel the Loom and Leaf compares against in-store brands like Tempur Pedic much more than cheaper Bed-In-A-Box brands such as Casper, Tuft & Needle, etc.. The quality materials and construction are what you find in WAY more expensive mattresses, at a fraction of the price. A queen is $1299 plus free white glove delivery – for quality and materials rivaling many $3-4000 mattresses we have slept on in the past. The Loom and Leaf has a very soft plush cover and the construction and materials are top quality. 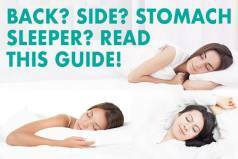 The medical grade cooling gel layer does an excellent job at dissipating heat during the night and keeping you cool, which is a common problem with memory foam mattresses. The materials and design of the Loom and Leaf mattress is much better than the many copycat Bed-In-A-Box clones on the market and for really not that much more in price. Something we have been impressed with from day one. Most of the mattresses we have tested have come in one firmness choice, which for us as a couple, has not always been ideal. Loom and Leaf offers more than one firmness choice, which makes a difference if you prefer a firmer mattress or one that is softer. 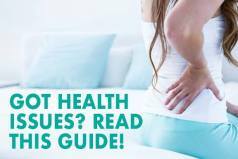 Other companies such as Nest Bedding offer this as well, and it is something that we feel is key – in that universal comfort type mattresses aren’t necessarily universally comfortable. We love our Loom and Leaf. It has been our go-to mattress that we sleep on personally when not doing the merry-go-round of sleep testing (which can not always be the best thing!). The quality construction, the price, the comfort, and the cool sleeping really makes a difference to us. You can’t go wrong with a Loom and Leaf and if you are considering a more expensive in-store brand such as Tempur Pedic, try them out first!